Chris Paul has long been considered one of the elite point guards in the NBA and commands plenty of hobby attention. The one thing that appeared to be holding him back was a lack of a talented players around him while with the Hornets. Thanks to a trade to the Los Angeles Clippers, Paul finally had has large-market exposure. Year later came the move to the Houston Rockets and another shot at a title. As a result, Chris Paul rookie cards and signed memorabilia could be in line for a big jump in the near future. 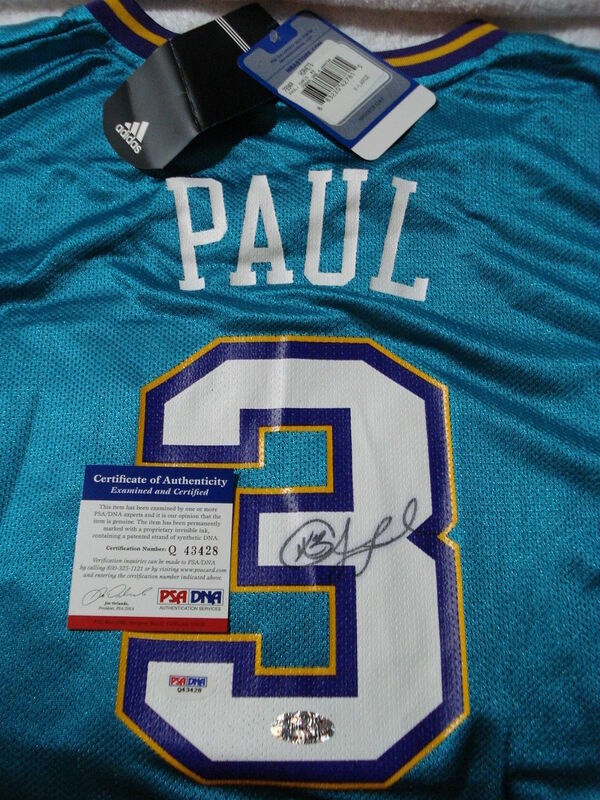 As a rookie from the 2005 NBA Draft, Paul was the top choice for collectors and has maintained that appeal throughout his career. The potential for a championship with the Rockets puts the point guard in rare company and should lead to a push in Chris Paul card and memorabilia prices if he stays healthy. 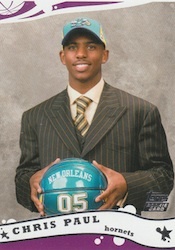 Chris Paul rookie cards consist of nearly 30 options and there is also an earlier NBA card for Paul that was included in 2004-05 Finest as a redemption. 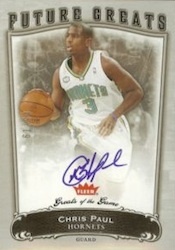 The top three Chris Paul rookie cards all feature his signature and are highlighted below. 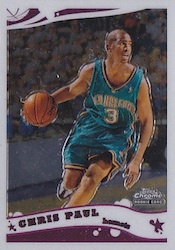 A more detailed look is provided with our list of the Top 10 Chris Paul Rookie Cards. 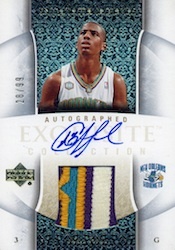 This rare Chris Paul card features an on-card autograph and a patch swatch. With the weight that Exquisite carries in the hobby, these cards regularly sell for thousands of dollars. Greats of the Game presents a viable, low-cost alternative to the Exquisite rookie. This Chris Paul card can be had for pennies on the dollar versus the Exquisite while still featuring an on-card autograph and print run of 99. With a slightly higher print run, the 2005-06 Upper Deck Ultimate Collection Chris Paul card can be found much more easily than the other two cards on the list but still brings in strong values. The card also features an on-card autograph. 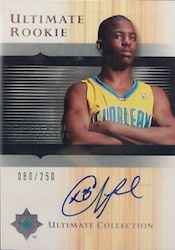 2005-06 PRESS PASS CHRIS PAUL ROOKIE ON-CARD AUTO RC. Brand New. CHRIS PAUL 2005 Bowman Chrome Draft Picks 111 Rookie RC ROCKETS PSA 8 PLAYOFFS! 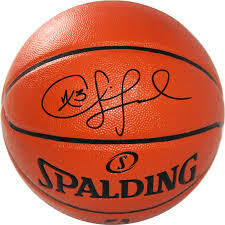 Below you will find an example of what Chris Paul's authentic signature looks like. This can be used as a first point of reference for determining the legitimacy of autograph memorabilia, but is not a substitute for having your items authenticated by a well-respected professional autograph authentication company. Reputable authentication companies include JSA, PSA, Panini Authentic, Upper Deck Authentic, Tristar and Mounted Memories to name a few. Click on any of the images below to view full size photos. 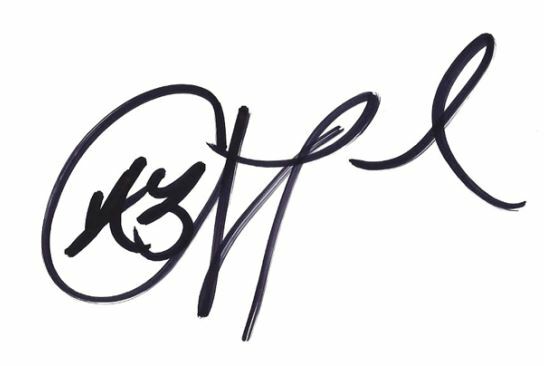 The whole signature is written on about a 45 degree angle. His signature consists of the letter "C-s-P-l" abd his jersey number "3." The letter "C" makes almost a full circle and contains the jersey inscription "#3." The letter "C" flows into an "s" which consists of an up and down pen stroke or a more elaborate formation. consisting of a loop at the top and the bottom. He does this when taking his time and isn't rushed. The letter "P" is distinguishable and sometimes exhibits a curlycue at the bottom. The final letter is an obvious and legible "l."